Although you think that you may have seen the scene from movies and photos, nothing prepares you for the real thing. 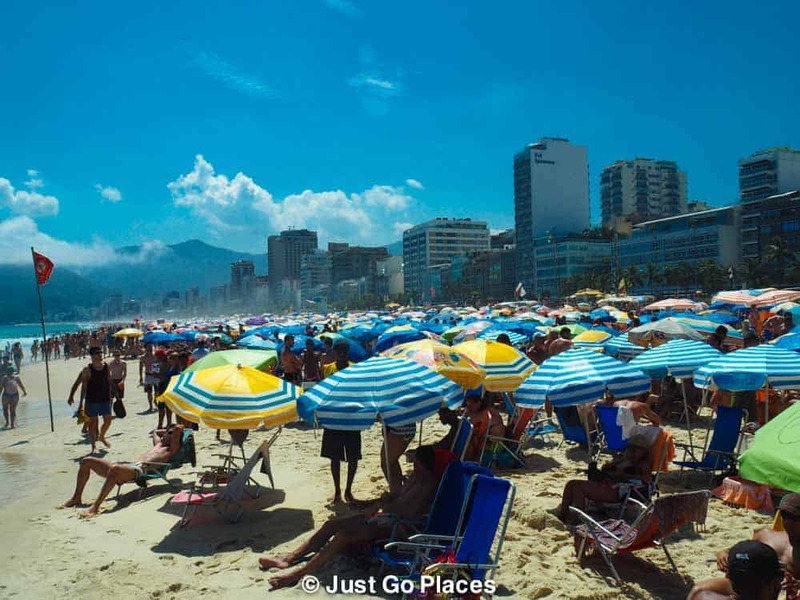 A mass of sun-kissed humanity prowl, pose, and play on the beaches of Rio de Janeiro in Brasil. The water crashes in effervescent waves spraying their foam onto soft, white sand which stretched as far as your eyes can see. 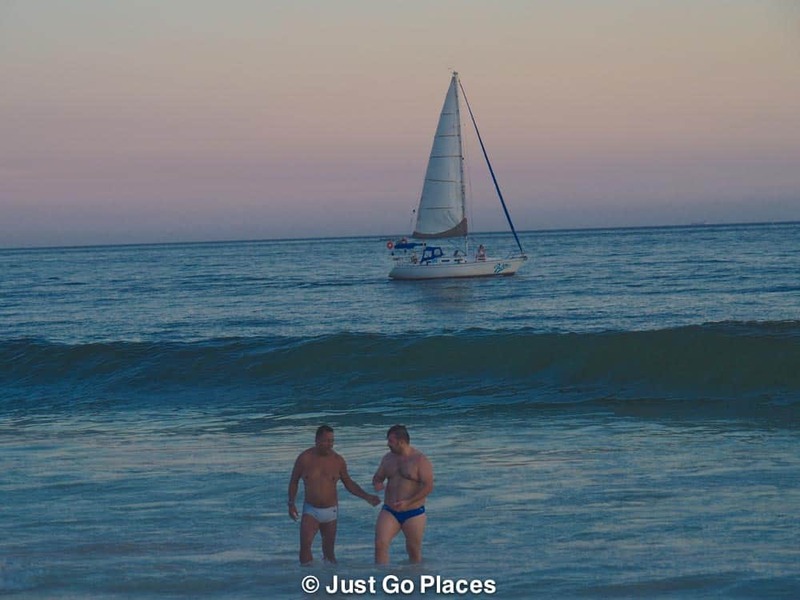 The sea does not get tired of landing on the beaches of Rio and neither do the Cariocas (as residents of Rio are known) who live in the city. 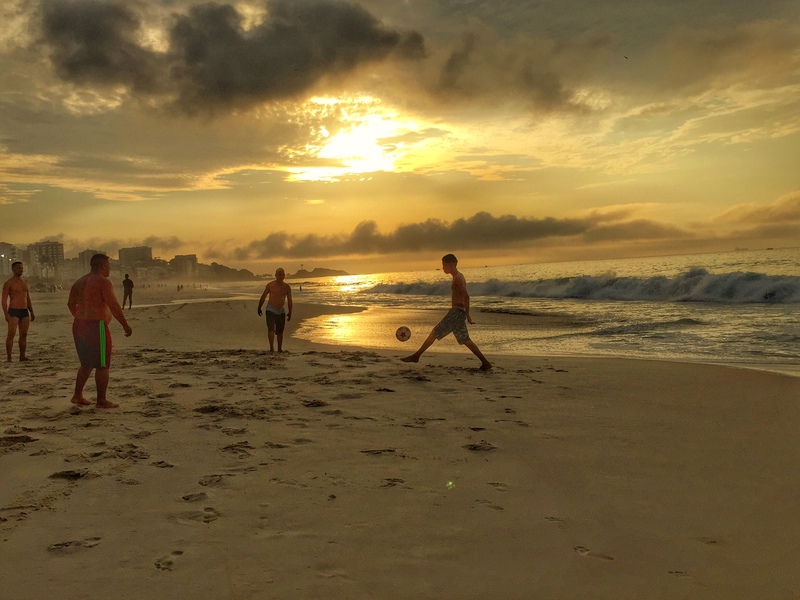 From dawn until dusk, the beaches are full of human activity. Blessed with sun, sand and sunshine, Cariocas are beach lovers for good reason. Rio de Janeiro is blessed with an abundance of beaches both along the ocean-front and its other inlets such as its lagoon. 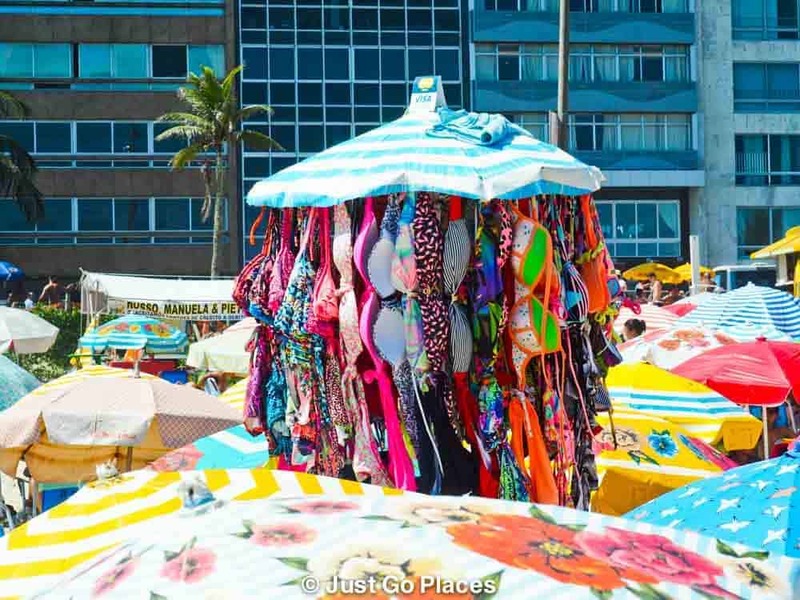 The most famous of these beaches is the legendary Copacabana Beach. Fallen a bit from grace from its heyday in the 1950’s, Ipanema beach next door is now the trendy beach. A sea of umbrellas next to the ocean of water. 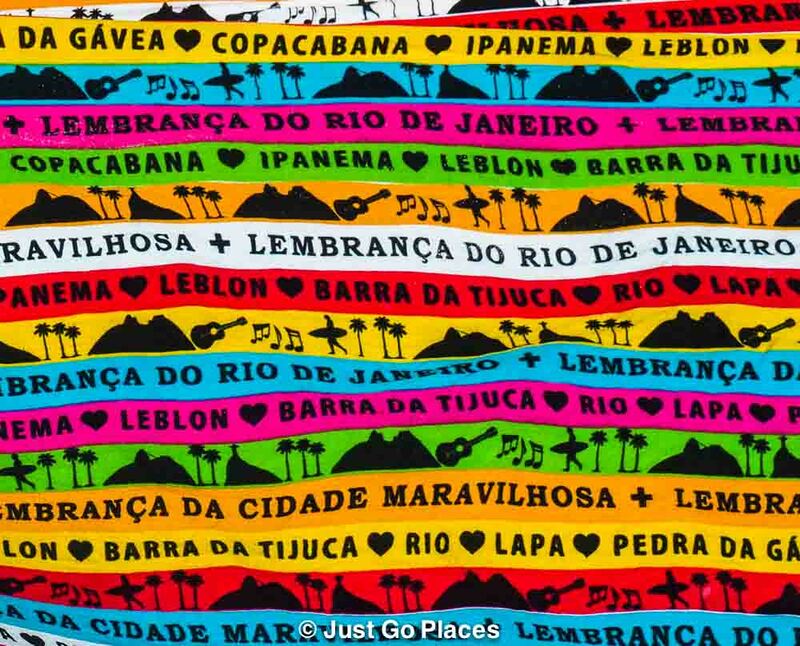 A sarong with the names of Rio’s beaches on it. The posts on the beach with numbers are an easy way for people to meet others on the beach. For example, the section in front of the Ceasar Park Hotel on Ipanema has lots of foreigners. Posto 7 is where the surfers are and between Posto 8 and 9 is the gay hangout. Certain favelas have specific posts where their residents congregate. Posts on the beach so you know where to meet your peeps. Love, ageless and evergreen. This photo really makes me want to break out into Barbra Streisand. 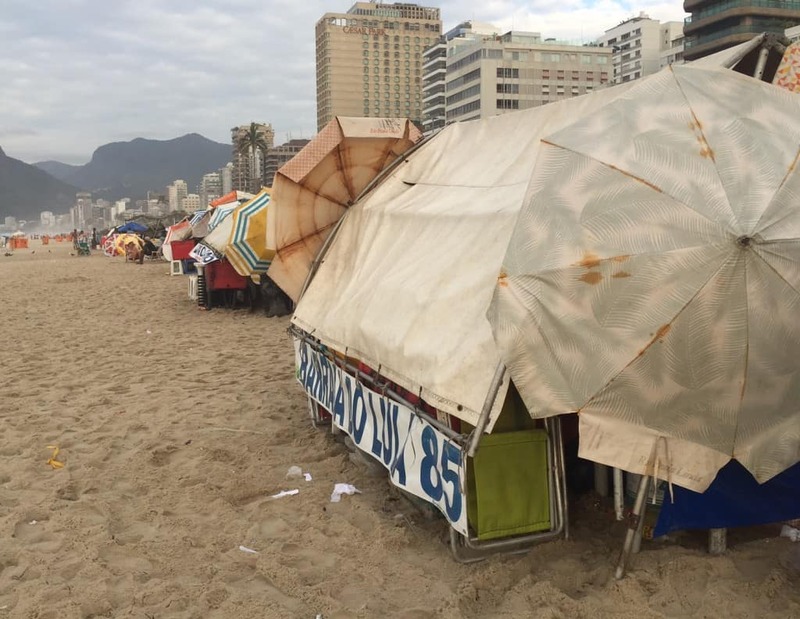 Unlike the city, the beaches of Rio are democratic. Next door to the bit with the foreigners on Ipanema Beach, we find local Brasilians. A little bit further along there is a large gay section. 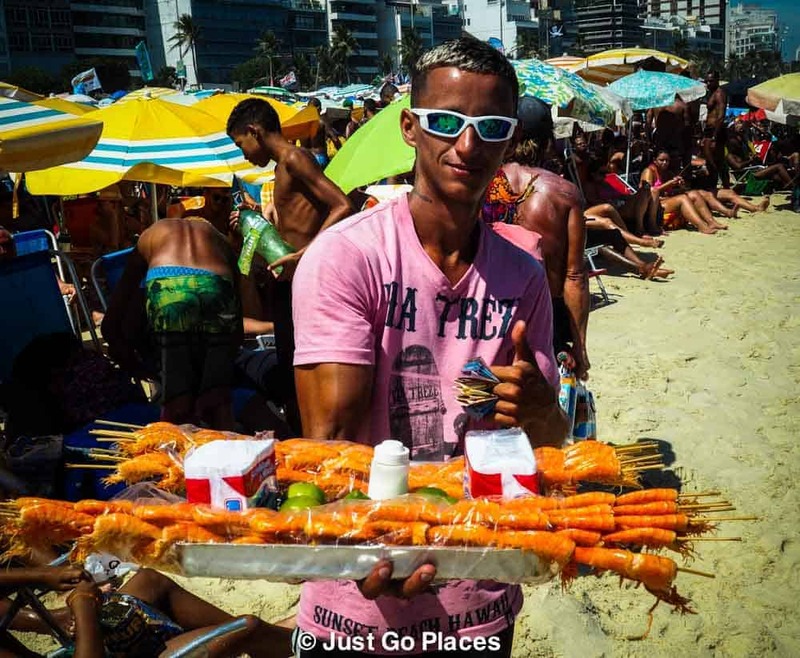 Bronzed, oiled and wearing the bare minimum, you don’t know which people on the beach are favela dwellers and which are residents of the super-pricey apartment towers with an ocean view. After all, everyone is pretty much wearing nothing. One of the omnipresent stands on the beach renting umbrellas and stands. Sorry to burst your bubble but you can definitely tell the tourists even before you hear their voices. The tourists are the ones with the milky skin, one-piece bathing suits and/or expensive sunglasses. 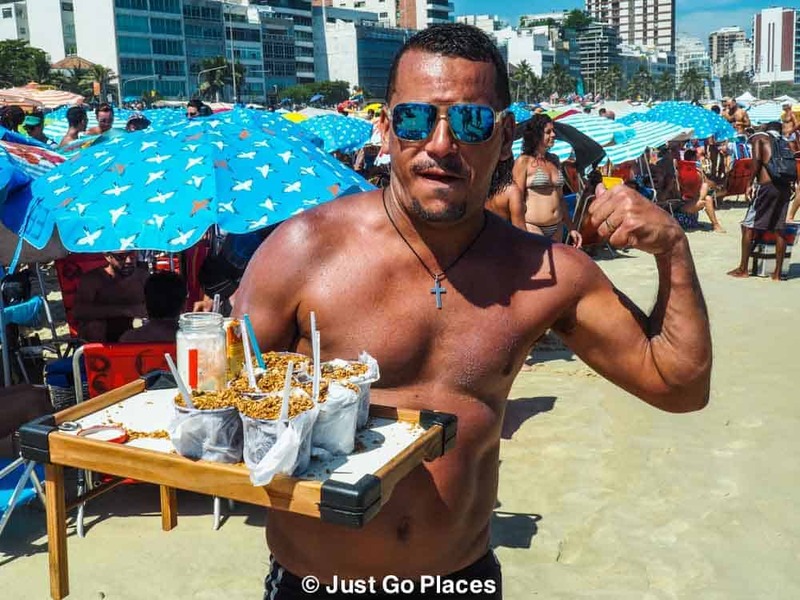 On the plus side, the foreigner section of Ipanema has masseurs who bring their massage tables onto the sand. While my children were gleefully being pounded by the surf, I was on the sand having my aching muscles bashed about by a former Brasilian triathlete. For approximately $20 a half hour, she kneaded away the stresses of the 12 hour flight from London. Blissful. 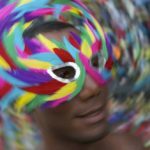 Further along from Ipanema, Leblon is known for being family-friendly. The water is calmer and there is less of a scene. On the other hand, we have heard the water is less clean because the outlet for the lagoon is at Leblon. We stuck to Ipanema Beach because it was the closest to where we were staying. I’ll drink to tired children! In any event, all of our children came down with a 24-hour tummy bug sometime during the week. 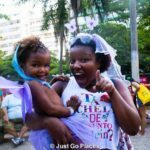 A local Brasilian told my friend that visiting children do often come down with a little something from playing in the water at Rio. There are simply too many people and sanitation is not the best. Some people are sleeping in the sunshine while others sprawl on the deck chairs and sand watching the local talent. The heat of the sun bares down on everyone, a hot oven baking even the most energetic of the children into listlessness. I am surprised that many people don’t seem to be wearing sunglasses. One of the predominant scenes are boys and men playing football. They play in circles kicking the ball to each other, barefoot in the sand and showing off their sporting prowess. The football starts in the morning and goes until dusk. The men remind me of preening male peacocks displaying their tail feathers for the world to see. 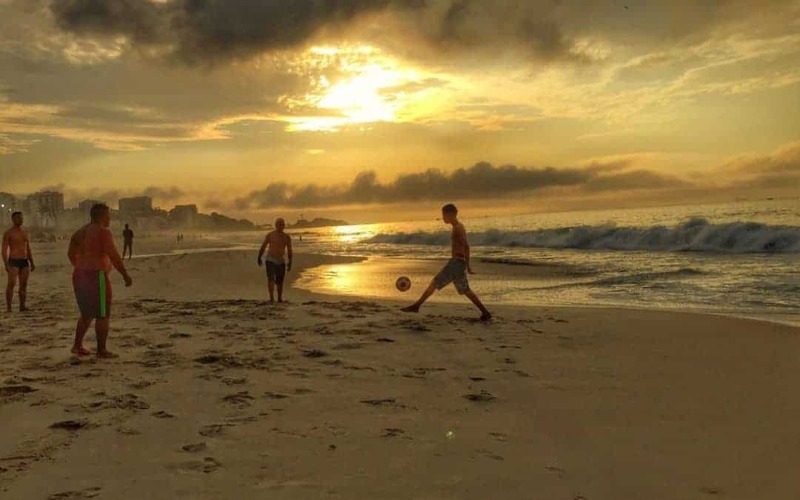 It’s never too early or too late for football in Brasil. The cafes on the edge of the beach are great for a snack or a tipple. The heat of the sun may make the restaurant staff a little bit dozy too. For example, my son waited for 45 minutes for his banana split. When I went to ask them what the status of the order was, they told me they ran out of bananas. Perhaps we should have been told that earlier? Coconuts waiting to be hacked open for their sweet water. Make mine a caiprivodka (a caiprinha made with vodka) please. You don’t need to leave the beach for a snack. 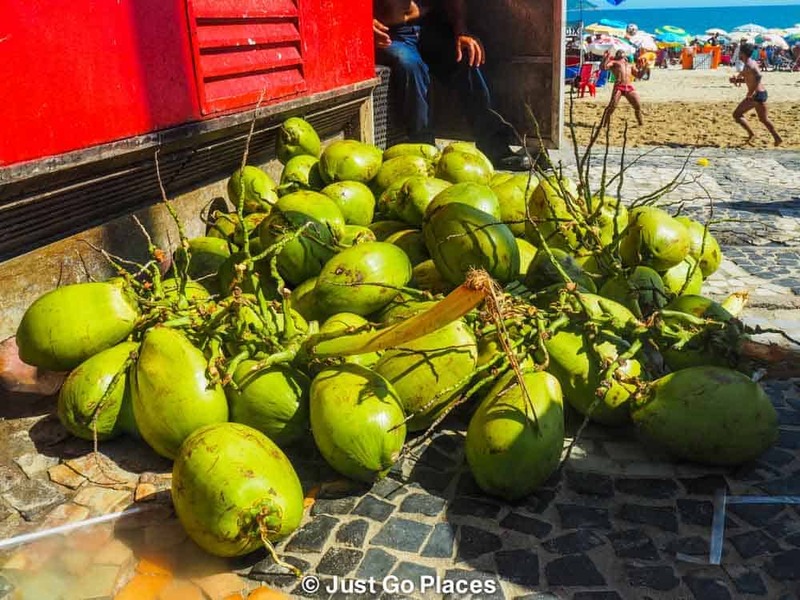 Enterprising vendors weave through the sea of umbrellas bringing drinks (coconuts, caiprinhas) and food (grilled prawns, crisps) to the people too languid to walk. A bikini seller makes his way through the sun umbrellas. I’m not sure what you are selling but I’ll take it. Although there are vendors on the beach itself, the wide sidewalk by the beach has its share of shopping as well. You can buy everything from bikinis and sarongs to tourist souvenirs. The vendors lock up their stuff overnight on the beach. 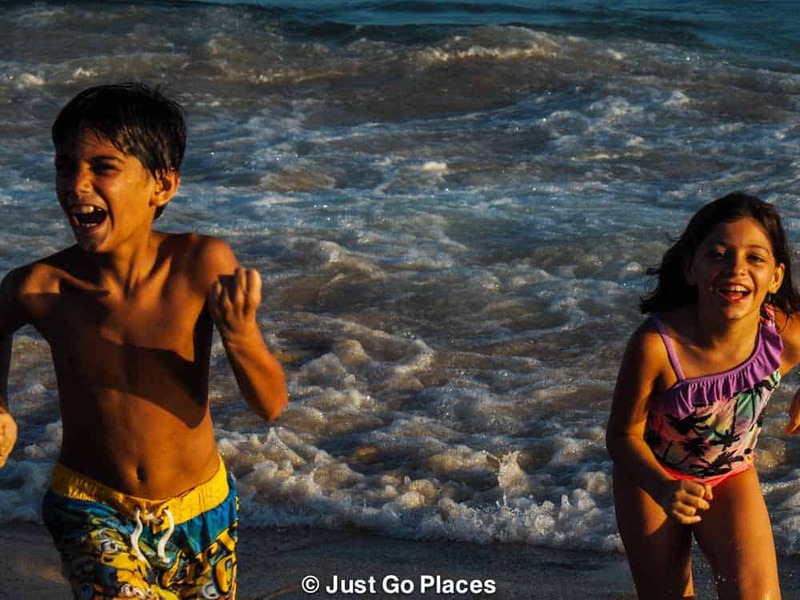 My children loved the beaches of Rio. The giant waves crash in an endless rhythm perfect for playing and bodyboarding. They simply did not get tired of playing at the beach even though they went every day. You would think from the photos that everyone has a perfect body they are showing off to maximum effect. What I noticed about the sun worshippers is that everyone flaunts everything whether they are the next Giselle Bundchen or not. That lack of self-consciousness is a refreshing attitude for a non-Brasilian like me. If I lived in Rio, I would be at the beach every day, too. 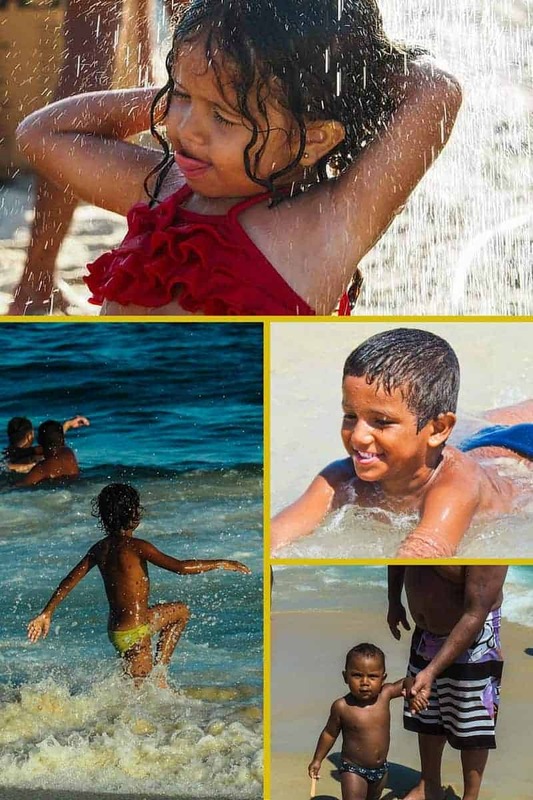 The city has its fair share of problems, but at the beach, everyone is happy. The glare of the sun washes out all of the unpleasant bits so that Carioca life is seen with a soft-daydream quality. Celebrating small victories with big smiles. 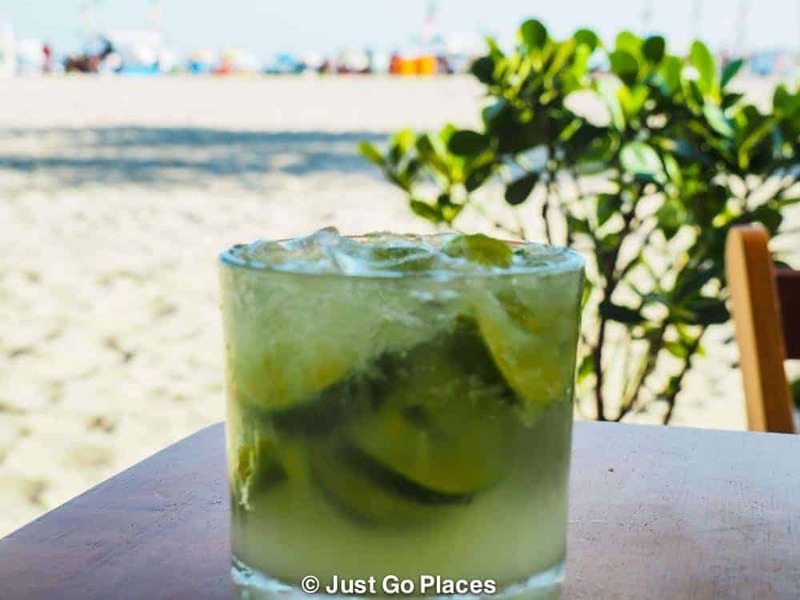 You can’t really go to Rio de Janeiro, Brazil, and skip its beaches and beach life, can you? 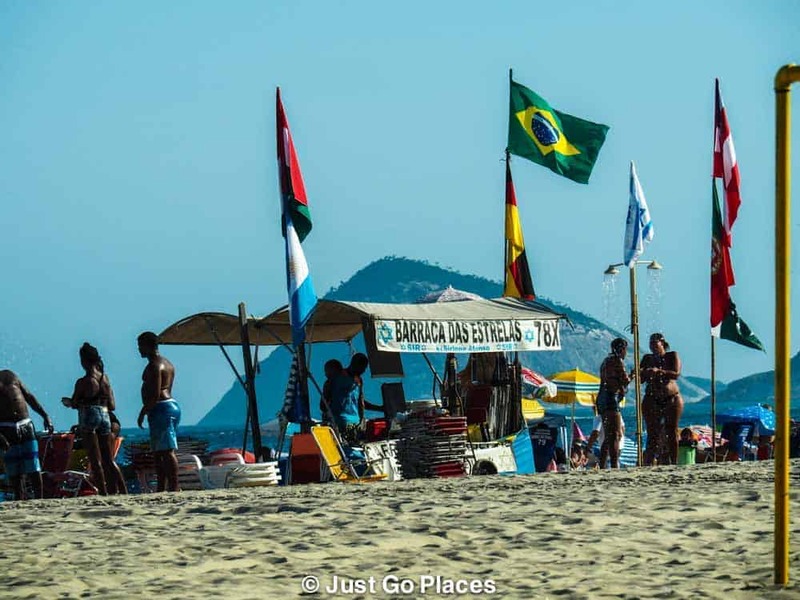 best beach in Rio de Janeiro for you! Wow! The beaches were so full when you visited (well, after all you went during Carnaval). I visited during their winter, so, the beaches were kind of deserted. Anyway, I had a great time walking around, especially at night when a lot of people where strolling or practicing sports. Funny there was one cloudy day and it seemed only the tourists were at the beach. As my husband said though in England it would’ve been considered great summer weather! That looks like a great place but I can’t imagine all those people in one place! I couldn’t either until I saw it. I love that the city’s problems aren’t visible on the beach. It is great that everyone has a great time and have such a liberated body image. Pity about the kids getting sick thought. Shobha, I’m sweating and scratching the sand off as I look at your photos. I’m a walk the beach at sunset kind of girl, but not a bake and sweat and play in the sand kind of girl. 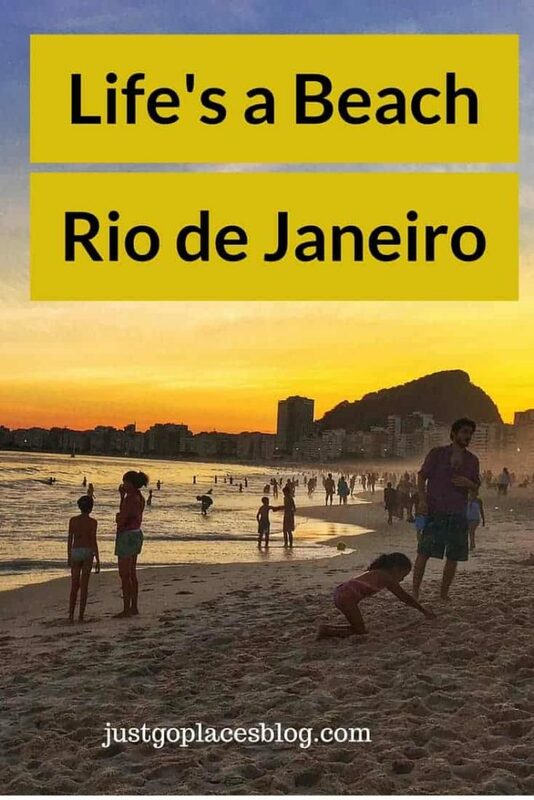 I guess you can’t go to Rio without experiencing the beaches, though. It’s part of the culture. I love your photos, as always! 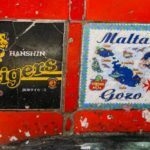 My son would love to go to Brasil, as he loves everything about football. It’s really interesting to read about your experiences there with your family. 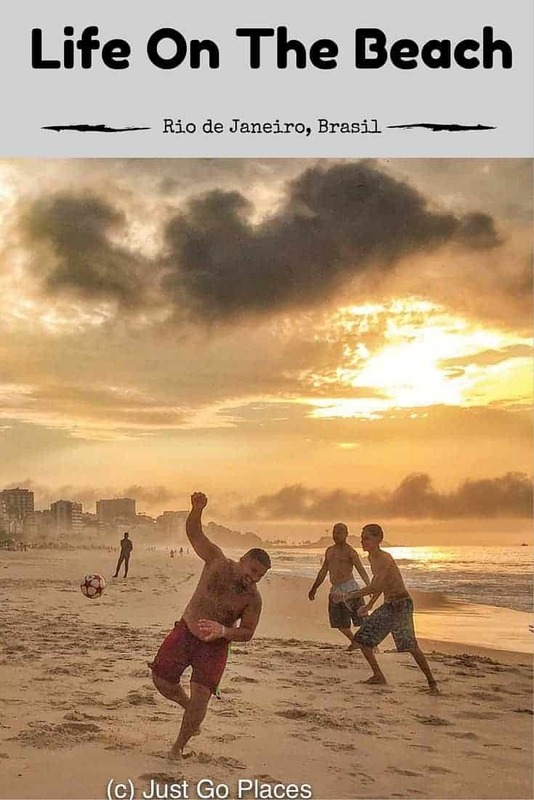 Brasil is football obsessed. He’d love their football museum I bet! 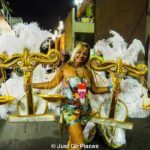 I’m enjoying your photos and posts on Brazil and would love to go back to Rio! 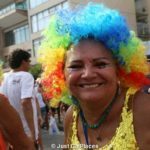 I was there a few years ago and loved spending a morning walking along the beaches, from Copacabana where we were staying to Ipanema. That’s a nice walk. We did it too, well mostly because the bit in the middle is all city. Shobha, your story is wonderful. 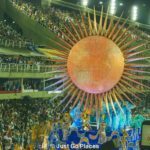 We’ve not been able to visit Brazil yet so it is nice to read about it. I’d love to spend some time on the beach. Sadly, I’d be one of the milky-white ones. I’ve given up on trying to tan, because my skin looks like a lobster in 20 minutes, even with high-SPF sunscreen. Omigosh, just imagine how red I’d be wearing a skimpy thong! I think you’d need serious SPF coverage. That sun was strong! Somehow these beaches are exactly as I would have pictured them in my mind, although had I not been to crowded Mediterranean beaches a few years ago, I never would have imagined a beach could hold that many people. The photo with non-stop umbrellas is pretty intimidating to me, a person who doesn’t like crowds. However, I think I could easily spend some time here. Thanks for the tip about the numbers on the polls. I can get a feel for how massive the beach must be if you talk about #8 and show #67. Yes the beachfront really does stretch on and on. Rio must have miles of beach. 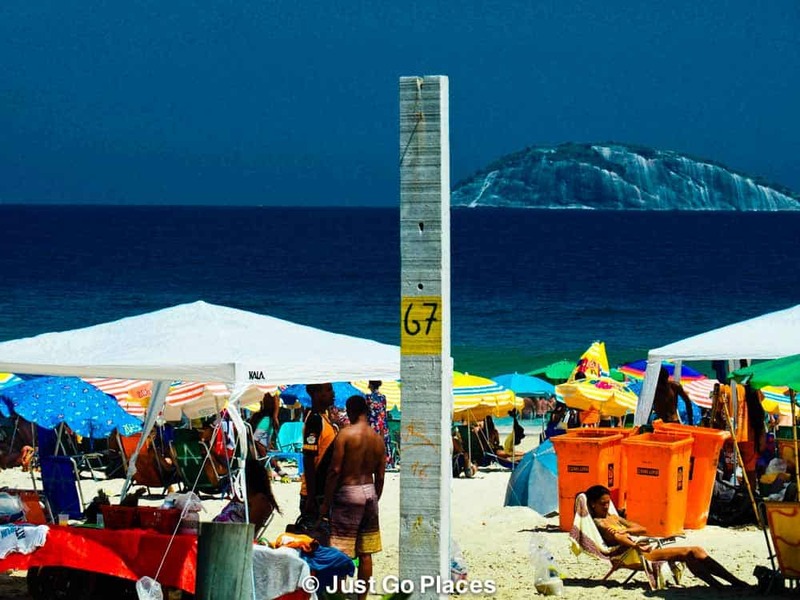 You have captured all the activity on Rio’s beaches very nicely, great photos too. I must say that I had fun reading this post. It’s so interesting to see how foreigners perceive my country 😀 I love it! Happy to have you on #MondayEscapes! Rio really was a hoot! !